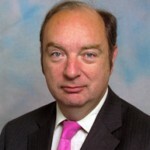 A former Brighton councillor has been chosen to stand in Lewes for the Conservatives at the next general election. Maria Caulfield, 40, a former member of Brighton and Hove City Council, will try to unseat the Liberal Democrat MP Norman Baker who has held the seat since 1997. Miss Caulfield overturned a four-figure majority to win a safe Labour seat in Moulsecoomb and Bevendean in 2007 although Labour took it back at the next local elections in 2011. During her four years as a councillor, she became the council’s cabinet member for housing. She is a member of the board of Brighton Housing Trust (BHT). Ms Caulfield works full-time as a breast cancer research sister at the Royal Marsden Hospital in London. She is also a part-time shepherd. She is the Conservative Party’s south east region deputy chairman and a shareholder in Lewes Football Club. At the 2010 general election she also stood in safe Labour territory – Caerphilly – where she came second. Mr Baker, 56, a Home Office minister in the coalition government, will be defending a majority of 7,647 at the next election which is expected to be held in May 2015.